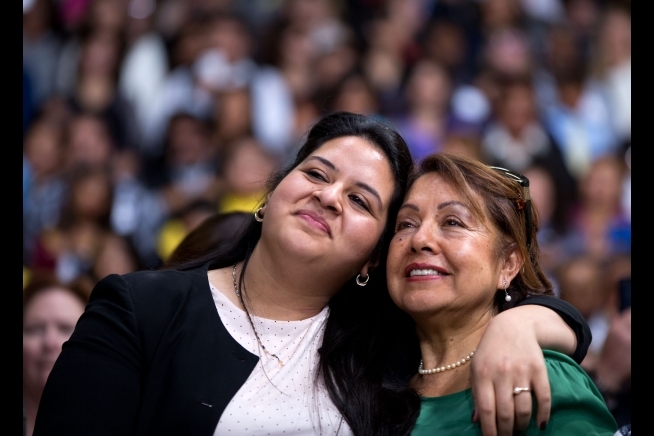 On Thursday, November 20th, President Obama made public his historic Immigration Accountability Executive Action (IAEA). 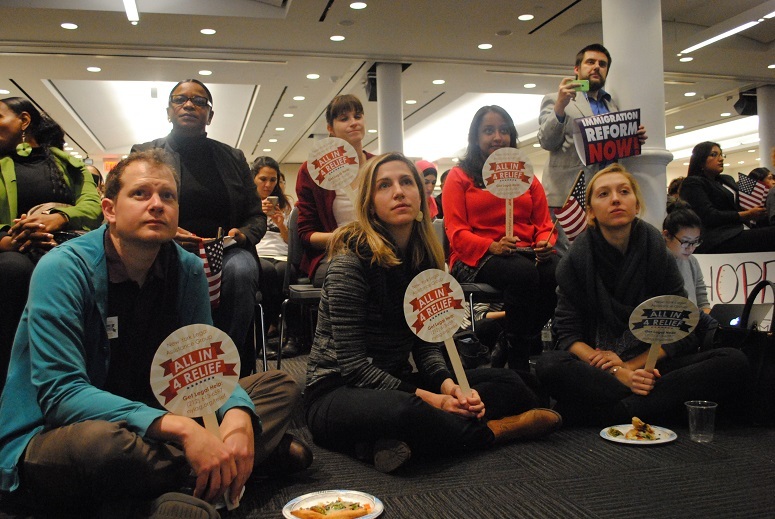 Immigrant rights groups across the city—and the nation—gathered to watch his prime-time address. Social media was buzzing with quotes from the speech and messages of solidarity. Celebratory rallies were held from Washington State to Washington Square Park. It was one of those collective TV moments, sitting before the screen and knowing that many people were doing the exact same thing. • Undocumented immigrants who are now authorized to work in the U.S. are able to pay in to and receive Medicare, Social Security, and other federal benefits. • However, those granted deportation relief would not be eligible for student financial aid, food stamps, housing subsidies, or participation to the Affordable Care Act (ACA) exchange. • This also means that employers now have what amounts to an incentive of $3,000 per employee to hire undocumented immigrants because they are not subject to coverage penalties under the ACA. So what does this mean for immigrant health? Hypothetically, it means more of the same. For decades, undocumented immigrants have been working in this country without legal authorization to do so and without adequate healthcare access. Now they can legally work, but healthcare access continues to be limited or nonexistent. U.S. healthcare providers are still adjusting to the new ACA status quo, but presumably that adjustment won’t include an influx of newly recognized immigrants. Audience members react as President Barack Obama delivers remarks on immigration at Del Sol High School in Las Vegas. On the other hand, it is probable that an immigrant community that has largely kept its health concerns in the shadows out of fear of exposure and deportation will now, justifiably, make its needs heard. Whether or not a person has access to healthcare, everyone has healthcare needs that must, in one way or another, be met. Furthermore, the kind of work historically made available to undocumented immigrants is typically labor-intensive with more hazardous workplace conditions. Before the IAEA, immigrants who suffered injuries on the job may have been disinclined to report them, losing their livelihoods along with their health in the process; but now, there will be less risk associated with reporting injuries and seeking care. This raises further questions about workers’ compensation benefits and independent contractor abuses (again, we’ll leave those to the lawyers). 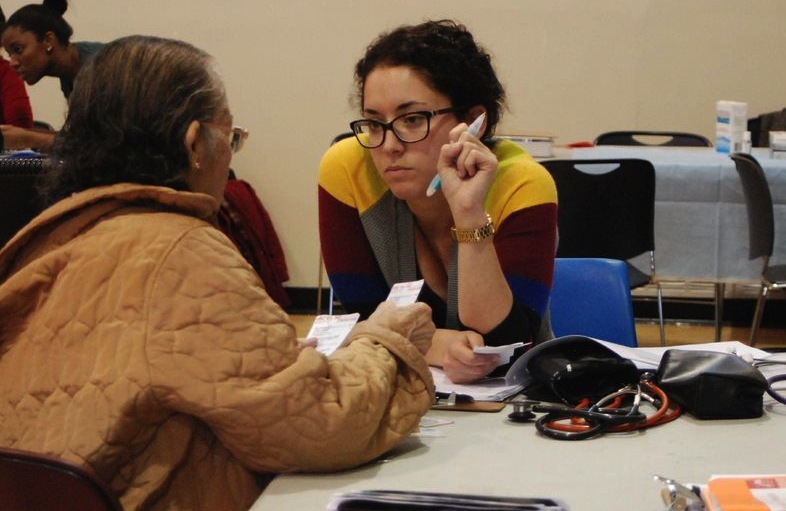 But one thing seems evident: job-related health issues stand to contribute significantly to the immigrant health conversation and may lead to a greater demand for health services. This is certainly new and exciting territory for our immigrant communities, and for public health. Even with all of these legal and policy mysteries, we at AMPHS couldn’t be more excited to be a part of this dialogue. However the IAEA reforms play out, we’ll be there to track and advise on any changes to healthcare access. 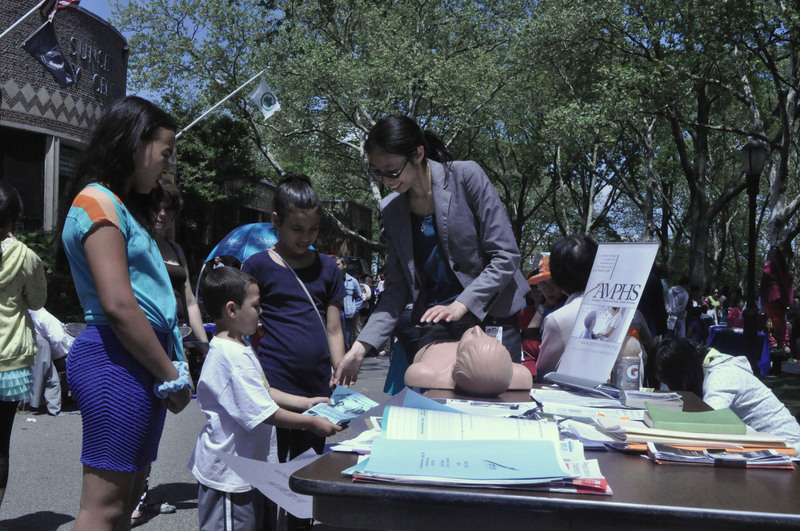 We’ll continue to offer free health screenings to our community members without regard to legal status or coverage. We’ll do our best to diversify the impacts on Brooklyn’s community health system by providing an additional point of care. And we’ll continue to celebrate the acknowledgement and political advancement of the wonderful people we serve. A door was opened on Thursday, November 20th. Let’s do all we can to make the most of that opening, and to see where else it can lead. 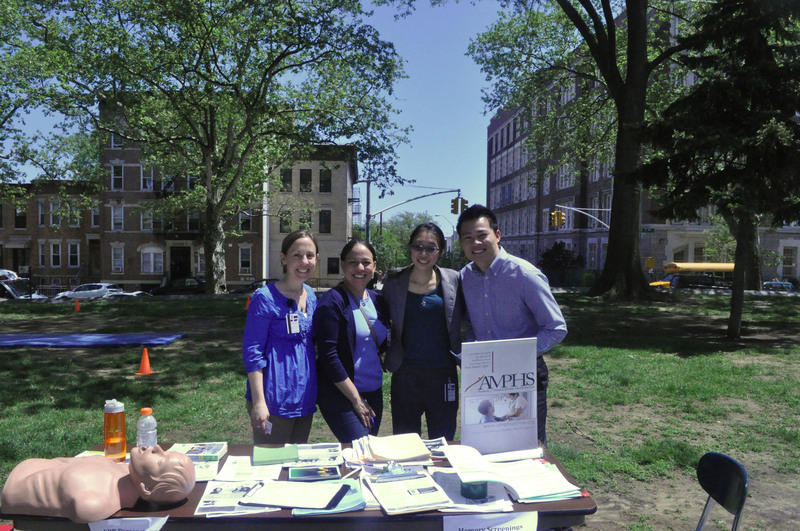 We at AMPHS are doing all we can to spread the word about public health issues, as well as the services we offer in Sunset Park. 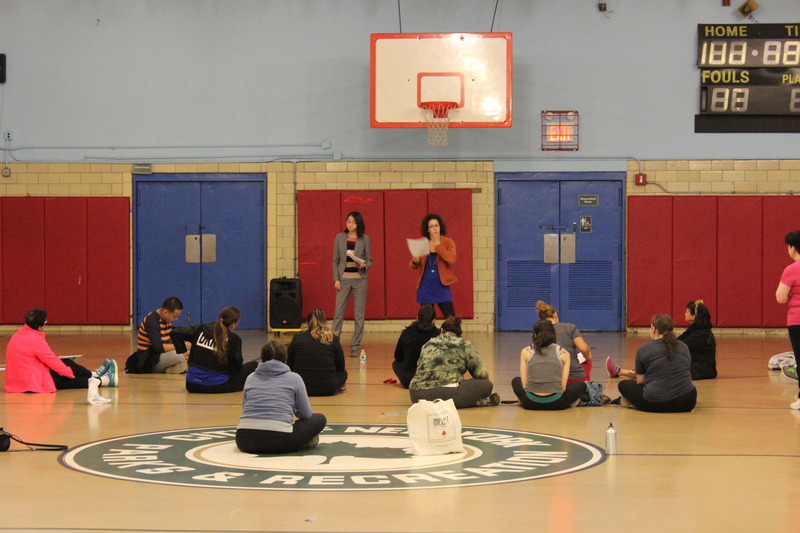 On Monday, October 27th, we were invited to speak before a Zumba class at the Sunset Park Recreation Center. We had three volunteers at this event. Nick passed flyers around while Mon Yuck spoke about AMPHS and Sarice translated. After the presentation, many came up to speak with us and to share contact information, excited to spread the word. Then the Latin beats began to thump and everyone was up and moving, including Letitia, now donning her pirate ensemble and improvising moves with her plastic sword. As we left the Center that evening, we walked through Sunset Park to find community members enjoying the fall weather, and the Manhattan skyline. Children playing. Soccer games. 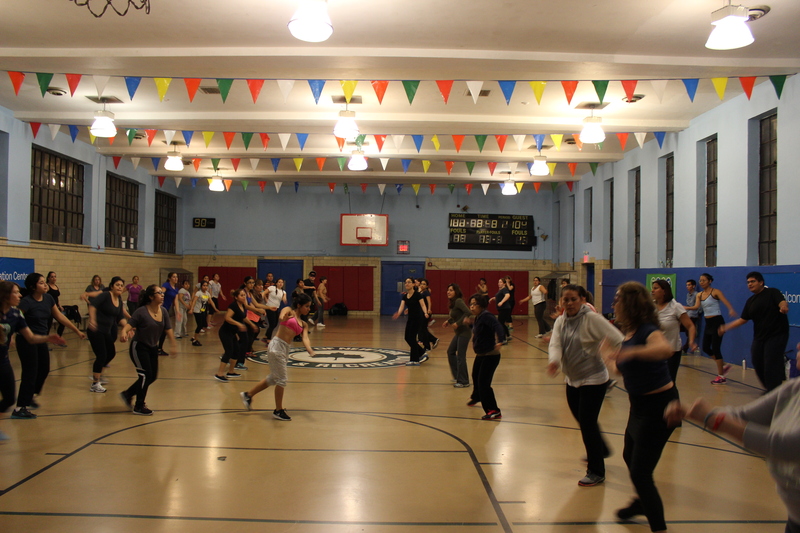 A group performing a Chinese version of Zumba to a remixed “Ode to Joy”—Zumba is very popular here on Monday nights. It was wonderful to see health and fitness bringing so many people together. So go. Tell the masses about Shape Up NYC and AMPHS. Promote wellness. You are now a Good Health Ambassador. Click here for more info about the Shape UP NYC offerings at the Center. 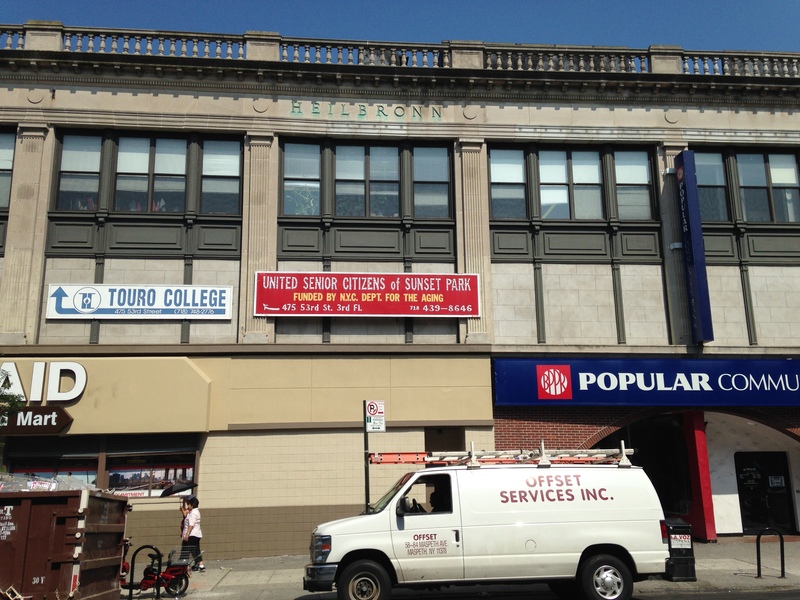 Shortly after 9am on Sunday, September 28, immigrant community members and their families began to trickle through the front doors of P.S. 24 in Sunset Park. 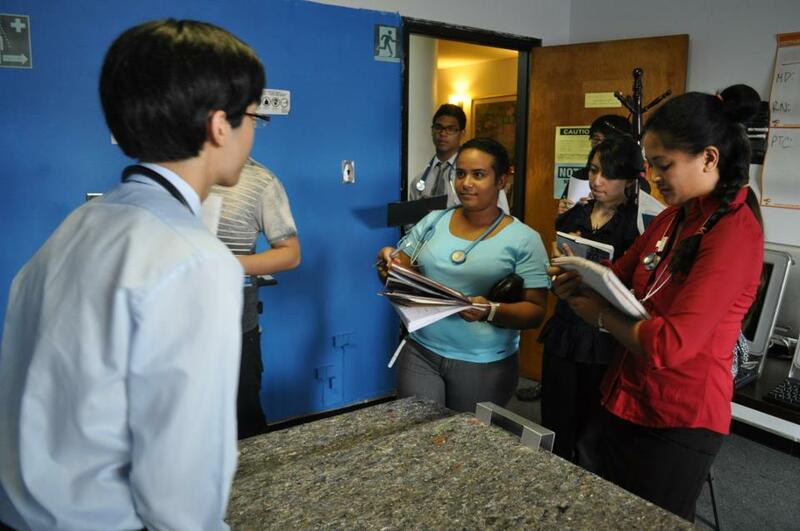 They were greeted by smiling representatives of the New York Immigration Coalition (NYIC) who signed them in and gave them itineraries for the day’s events, which included presentations by various organizations on the opportunities, resources, and services available to immigrant communities. Tables were set up along the front hallways where community members could minglewith volunteers and learn more about each organization. The New York Legal Assistance Group repurposed the cafeteria to offer counseling to unaccompanied minors and to those who might be eligible for Deferred Action for Childhood Arrivals (DACA). And of course—the central purpose of the event—representatives from the consulates of Mexico and El Salvador were set up in the auditorium to issue passports and consular IDs to community members. By noon, the hallways were bustling. Betsy told us that usually around 600 people attend these events, and that over the last three years approximately 22,000 New Yorkers have been assisted. 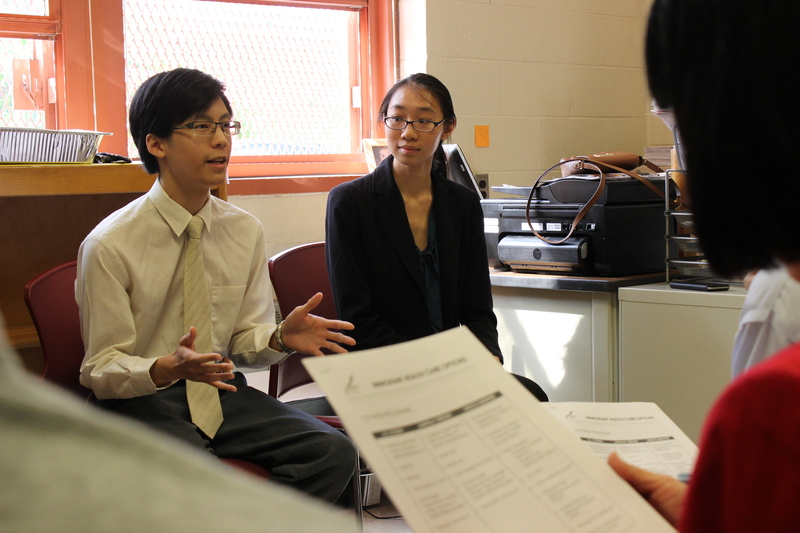 Advocacy groups like the Asian American Legal Defense and Education Fund presented on DACA eligibility and benefits. The Brooklyn District Attorney’s Office spoke about ways to prevent immigrant fraud and to seek redress for crimes already committed. 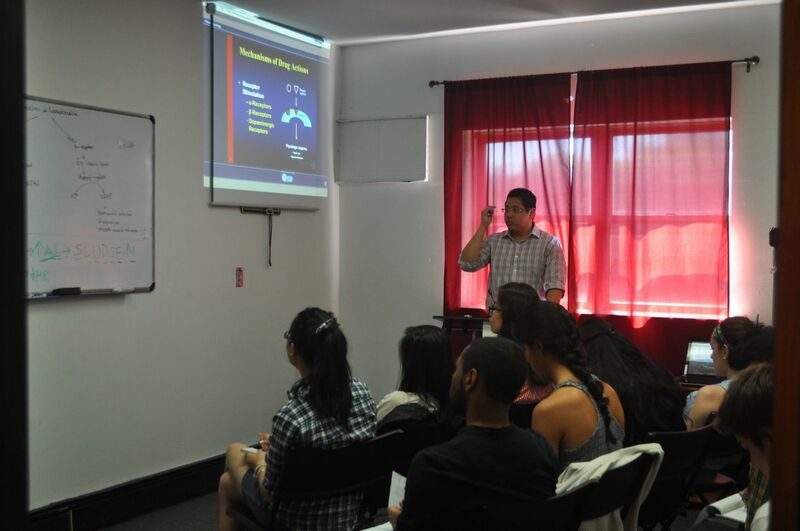 The City University of New York discussed scholarship opportunities and ways to seek financial aid. Even Council Member Carlos Menchaca was there to show his support. 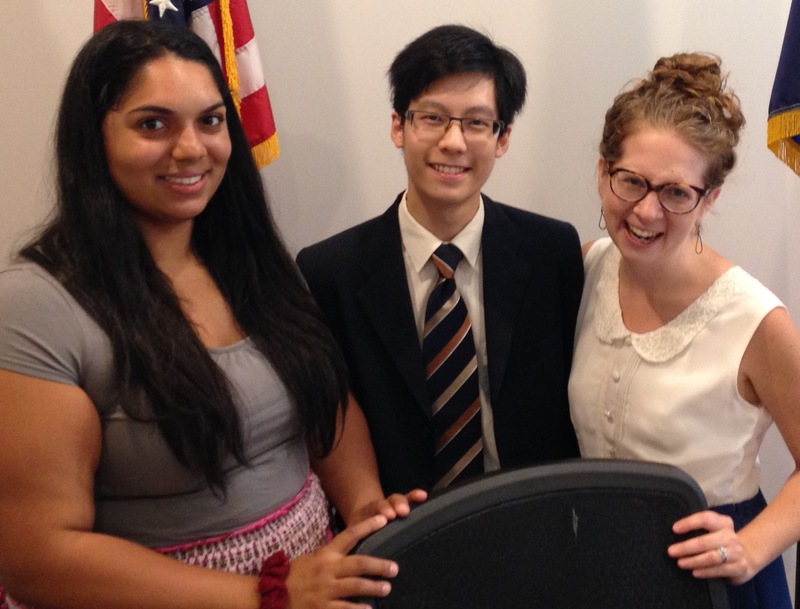 Not to mention our very own Hewett Chiu and Mon Yuck Yu, who presented on immigrant healthcare issues. They also offered blood pressure screenings at the event. Not only was this an opportunity for community members to learn about these helpful resources, but it was also an occasion for the organizations themselves to meet, discuss future collaborations, and share their stories. 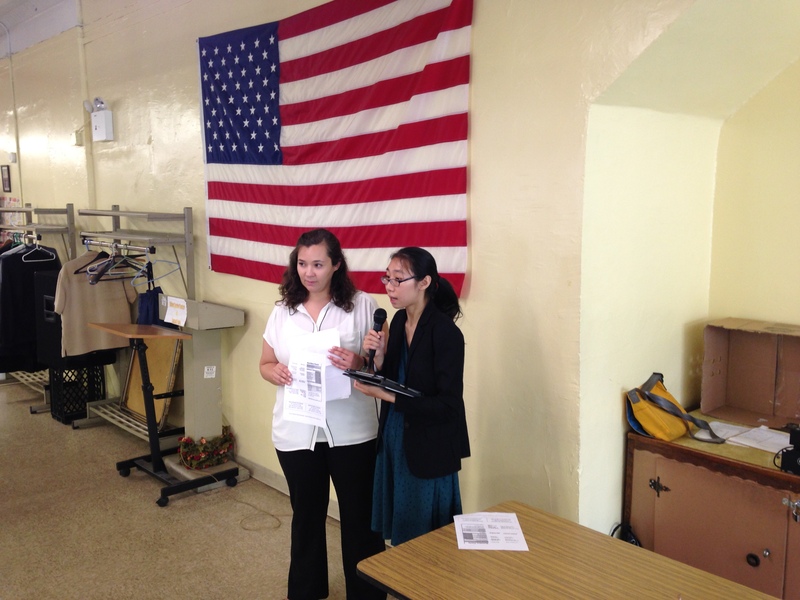 One young woman from Atlas: DIY, Developing Immigrant Youth, came to our table to introduce herself. She spoke of her own experience as an undocumented immigrant and how Atlas: DIY helped her to achieve DACA status. It can be difficult, she explained, for young people with DACA status to get work, because employers aren’t always able to see a history of education or relevant work experience, so one thing Atlas: DIY does is offer its members vocational courses. After getting a job as a receptionist, she was so grateful that she continued to work with Atlas: DIY, eventually becoming their Director of Operations and Outreach. This was the first event AMPHS and NYIC participated in together, and we certainly hope it isn’t that last. 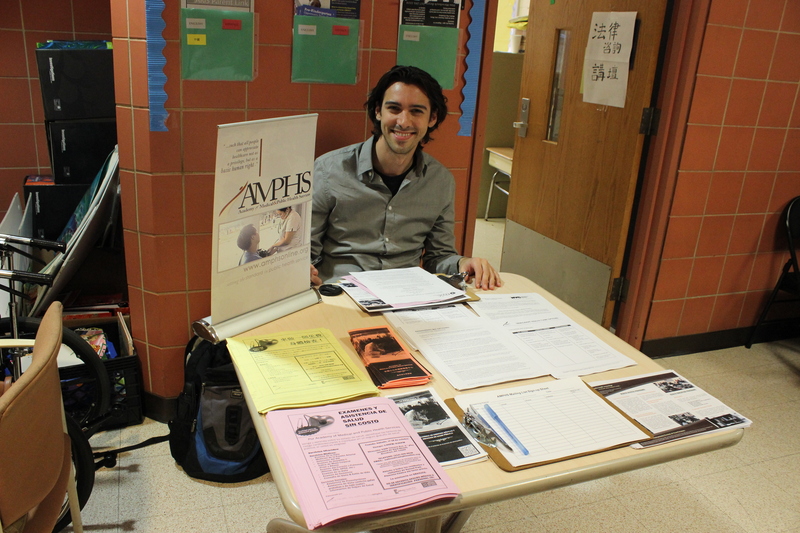 It was a day of community, information-sharing and solidarity, and we at AMPHS were thrilled to be a part of it. Trust is important to us at AMPHS. Not only do we want our community members to be comfortable walking into our offices for their health-related needs, but we want them to be comfortable leaving as well, knowing that their information is safe and secure with us. That’s why all of our procedures are HIPAA compliant, and why all of our volunteers, from clinicians to receptionists to translators, receive thorough training on matters of privacy and accountability. HIPAA refers to the Health Insurance Portability and Accountability Act. Enacted in 1996, this law is basically a national code of conduct for any health-related organization in its use, storage, and transmission of an individual’s protected health information (or PHI). But AMPHS is not a hospital, you might be thinking. Why is HIPAA compliance necessary? Even though we don’t treat patients, we do offer our community members a variety of health services, including screenings, counseling, and education. This requires us to have access to certain health information, depending on the needs of the community member. As many of our community members are undocumented immigrants, strict adherence to HIPAA regulations is an essential part of our mission. We have a “need to know” policy. This means that we do not share any PHI, even among other AMPHS volunteers, unless it is absolutely necessary to meet the needs of a community member. When discussing the work we do in a public setting, we never refer to specific community members. Community members are of course welcome to discuss their own experiences with AMPHS as they see fit, but that is completely up to them. Community members have the right to access any records we may be keeping under their names. However, we need to ensure that those requesting information are indeed who they say they are. Even when speaking to community members over the phone, only if we are 100% sure of the speaker’s identity do we proceed with anything related to his or her PHI. We keep very secure paper and electronic files on our community members, and should we ever need to dispose of PHI, those records are duly shredded or expunged. We never fax or email PHI. There is simply no way of knowing who might be able to access that information, so we don’t do it, period. We will, however, schedule a follow-up appointment should someone want to access his or her own records. And as previously mentioned, everyone who has anything to do with the services offered at AMPHS receives thorough HIPAA training from our very own president and CEO, Hewett Chiu. Beyond these measures, we only ask of our community members what they feel comfortable sharing. We don’t need to know anyone’s immigration status. We don’t need to know whether or not anyone is insured. If community members would like help navigating their rights concerning access to insurance and healthcare, regardless of immigration status, we are certainly prepared to do so, but as with any other PHI, that information is tightly sealed. Above all else, we are here for the community, to provide health services and information to those who may not be comfortable or able to get it elsewhere. That’s why we are dedicated to making AMPHS a safe place to talk—confidentially, of course—about health. 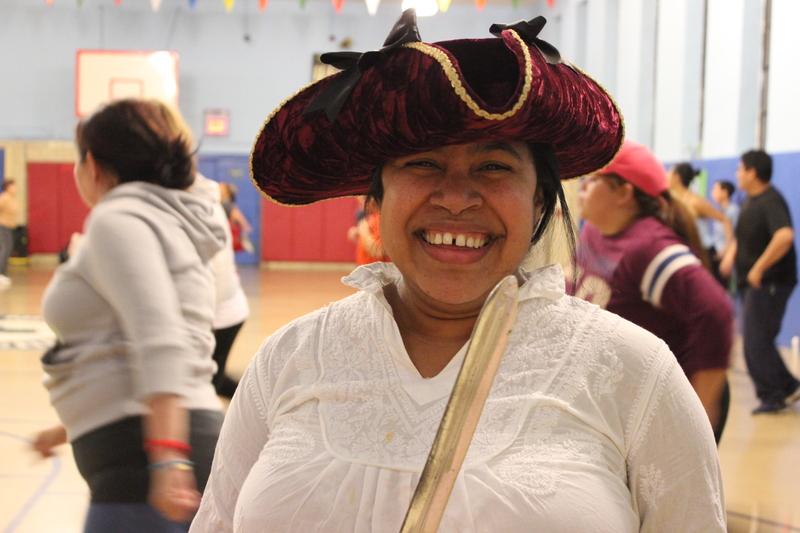 Check out these photos from AMPHS’s talk at the United Senior Citizens center in Sunset Park. 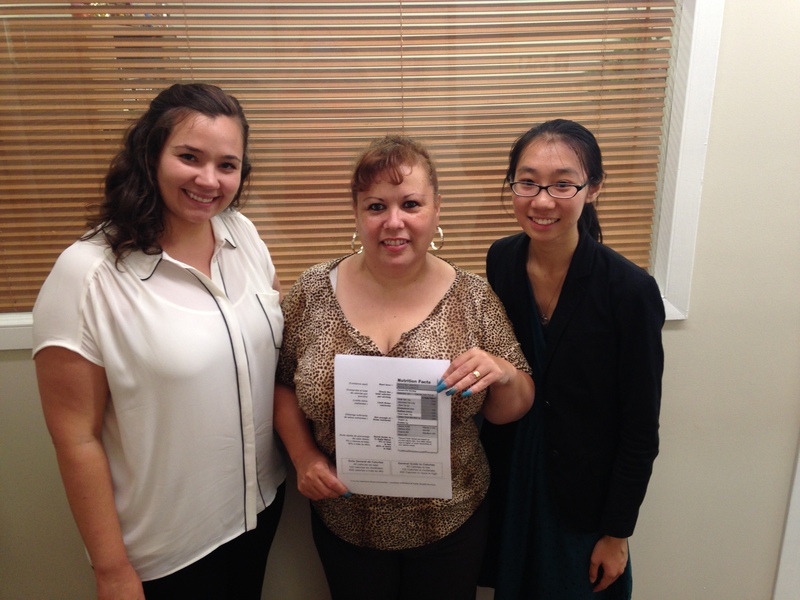 Last week, AMPHS visited to educate seniors on how to read food labels. The AC was cranking on a hot day! Alice Bonner, RN, NP, and Mon Yuck Yu led the talk for AMPHS. We had a good crowd, and some of the seniors even took notes! Here are our AMPHS volunteers with Carmen Rodriquez, one of the administrators at the center. As an organization devoted to serving the immigrant population, you can imagine how excited we were when Carlos Menchaca, a Mexican-American, won a seat on the New York City Council. And to make it even better, he represents our very own Sunset Park community! We always knew that we’d work together, and it looks like that’s going to be happening soon. We met with two members of his staff this week, Lee Wellington and Rossanna Mercedes, and we were thrilled by their interest in our work. We had a great discussion, and several collaborations were suggested. We look forward to working closely with the Councilman and his office! We want to give big thanks also to the councilman for helping us obtain NYC Discretionary Funding for 2015. This will allow us to continue to focus on our community health literacy efforts and improve our current clinical programs, including building much-needed additional screening rooms and offering basic blood testing. Brain health is important to all of us, and especially to our seniors. 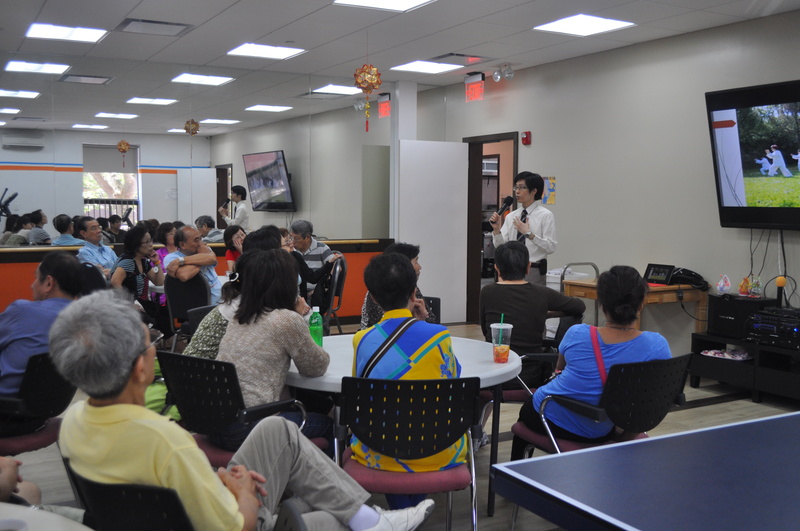 So AMPHS’s Hewett Chiu was glad to speak to around 60 people recently at the CAIPA Social Daycare center in Sunset Park. The center ensures that Asian-American seniors in the community receive culturally sensitive care and services to increase their quality of life. And so on July 5th, the center held its Summer Festival, which also included dancing, karaoke, and a ping pong tournament. AMPHS was glad to be in attendance, and it’s always good to see our local Assemblyman, Felix W. Ortiz, who also stopped by to visit. The first session of AMPHS’ Clinical Practice Training Program (CPTP) is now underway! The 6-week course aims to provide participants with a strong overview of the material, concepts, principles, behaviors, and critical thinking needed to succeed in clinical practice. 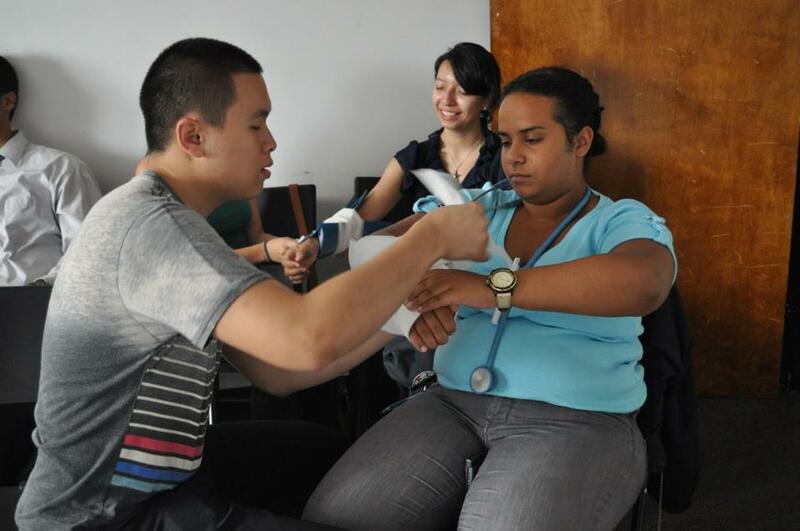 Through lectures, class discussions, community-based fieldwork, and hands-on clinical practice sessions, students will be able to develop a deeper appreciation for the rigor and intensity of studying the medical sciences. In addition to equipping students with skills to prepare for future clinical work, the coursework is developed to inherently integrate public health and clinical research principles into the clinical sciences for students to better understand both theory and practice in healthcare. There is still space available for our fall session, and the deadline for applications is July 25th. For information on how to sign up, or to read more about the program, please visit our CPTP site. Death and taxes, they say. But let’s also throw in “health concerns.” Everyone has taken medication or seen a doctor or nurse. That’s what AMPHS is here for. We are a safe place for people who need help. We don’t charge for our services. We don’t ask for a social security number. And we speak Spanish and Chinese. 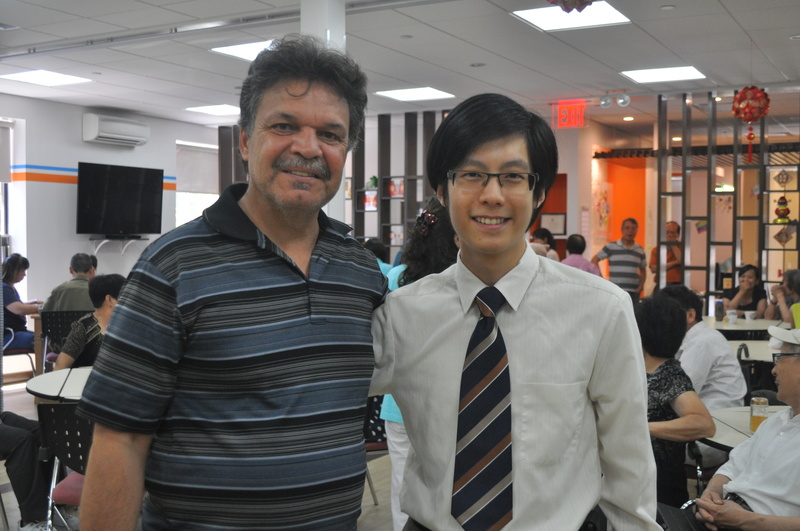 The monthly screenings in our Sunset Park offices are among our mostly heavily attended sessions, and the one on May 10 was, in fact, a record-breaker! We saw 22 people over four hours. Consider that a screening consists of time with a clinician as well as a health lifestyle counseling session (and possibly time with one of our social workers), averaging 45 minutes to 1 hour in total; now that’s a pretty impressive number! 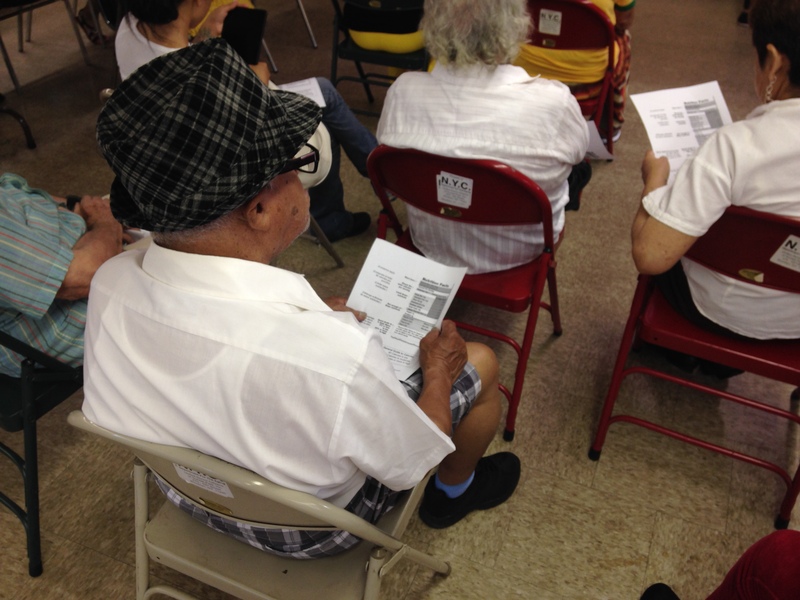 We were so excited to provide comfort and information to so many needy people. In addition to our usual screenings, such as blood pressure checks, eye exams and HIV tests, we honored Women’s Health Day by partnering with Project Renewal to provide free mammograms. AMPHS offers free 45-minute in-house screenings the third Saturday of every month. We will also be offering mammograms once again at our site on June 15th between 2pm and 4:30pm in partnership with Project Renewal. If you are interested in scheduling an appointment for a future date (upcoming dates: June 21st and July 19th), please call (212) 256-9036. No insurance or documentation is required. All services are free and confidential. Thanks to all of our volunteers for making this happen, and also to our partners Project Renewal and Latino Commission on AIDS. 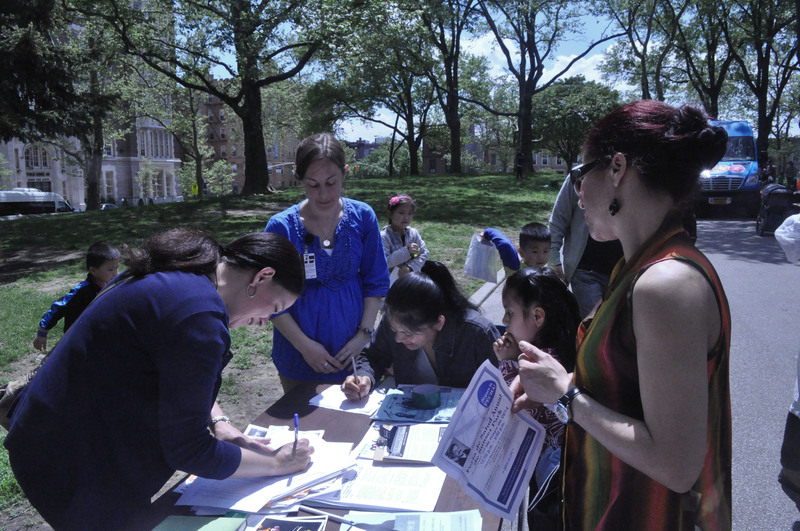 AMPHS took part in the Sunset Park Annual Health Fair organized by Assemblyman Felix W. Ortiz on May 17th. Among other offerings, Mon Yuck conducted CPR demonstrations, and translators Audrey, Kathryn and Dennis helped people to sign up for our comprehensive in-house screenings.